M-2017. Mustang Silhouette Pattern Package. Wall Hanging. Horse Head. 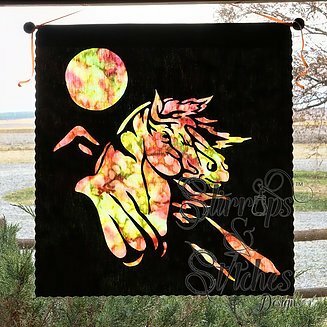 "Stained Glass" Window Hanging - No Sewing Involved. Approximate Size 20"x22"